Hand fabricated single bowl stainless steel semi-recess sink. 10 mm radius corners and commercial satin finish afford ease of cleaning. Striking raised sink rim makes a beautiful design statement in an island or hospitality setting. Rear placed drain means more storage below the sink. Sink bowl is pitched to center of the waste hole to ensure efficient draining. 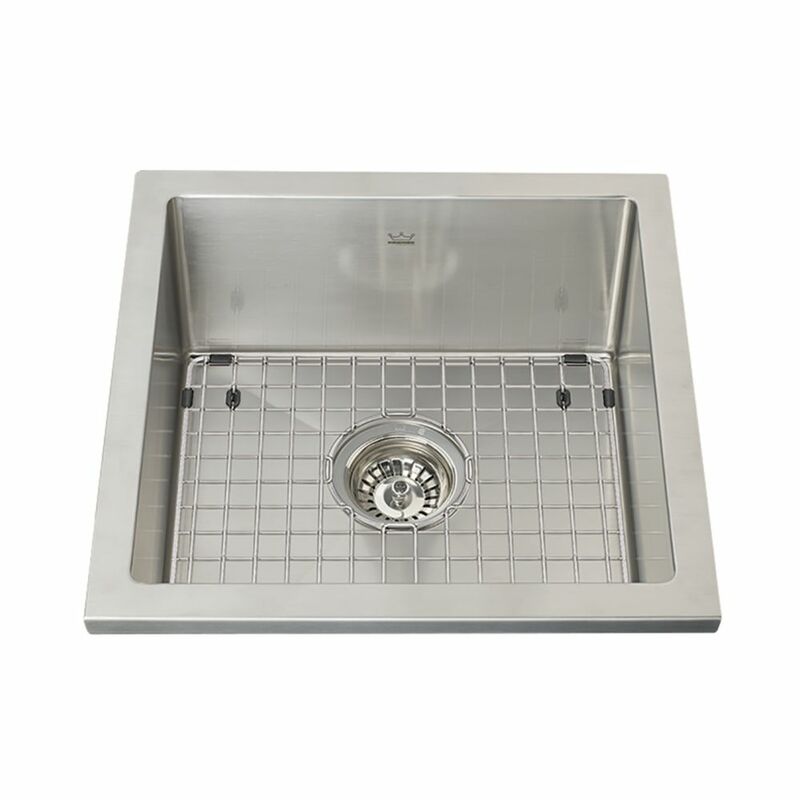 18 Ga Semi-recess single Hand fabricated single bowl stainless steel semi-recess sink. 10 mm radius corners and commercial satin finish afford ease of cleaning. Striking raised sink rim makes a beautiful design statement in an island or hospitality setting. Rear placed drain means more storage below the sink. Sink bowl is pitched to center of the waste hole to ensure efficient draining.